A solid investment is guaranteed when you decide to purchase a used Hyundai. This South Korean brand is known for their fuel-efficient, reliable vehicles, which are extremely popular throughout Europe. 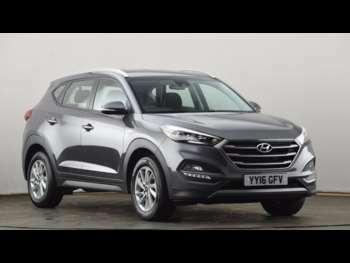 Whether you're looking for a cost-effective family car, or a smaller vehicle to cruise around the city streets, Hyundai should be the model for you. We have a range of used Hyundais for sale at RAC Cars, as we search across the UK for bargains of all shapes and sizes. From the i10 to the Tuscon, there's sure to be a motor that suits your needs. It was the introduction of the i30 in 2001 that really brought light to the company. This was a complete game changer for them. Suddenly, there was a car that could compete with some of the better family hatches, and better them in some key regards. Since then, the Korean company hasn't looked back. They've embarked on a dizzying product offensive that's been solid gold across the board. Another model that might be worth a try is the Hyundai Coupe. This third-generation car still looks extremely smart. They're also extremely cost-effective, as you wouldn't believe the price you can pick up a low mileage 2.7 V6 model for. Put it this way, you could buy, tax and insure one and still have change from £2,000. If you’re looking for something a little bigger than a small, family hatchback, the Terracan may be of interest. With a front engine and 4-wheel drive design, the mid-size SUV effortlessly handles various types of terrain. With its headquarters based in South Korea, Hyundai Motor Company is the third-largest vehicle manufacturer in the world. Hyundais are sold worldwide, which is why they’re one of the most-recognised firms on the market. Thanks to this, you're definitely making a good investment when you purchase a used Hyundai. In 2014 and 2015, the i10 bagged the award for the ‘Best City Car’ which was awarded by What Car? It was also recognised by Carbuyer.co.uk for the same thing in 2015, too. Before that, the Santa Fe won ‘Best Large SUV’ in 2013 and 2014, a prestigious award from Auto Express. Got a specific Hyundai model in mind?